Toll-free Telephone Number is a special number which charges the calling party instead of the caller. There is usually a dialing prefix range for a country. People usually does a big mistake between IP Telephony and various ways of Unified Communications. The later are error free, more sophisticated technologies, whereas Toll-free Telephone Number is not any technology itself – irrespective of the technology used behind, for example, the provider can bundle with General Packet Radio Service or GPRS service with Toll-free Telephone Number – on the user’s end. It is frankly a kind of Forwarding service. Toll-free Telephone Numbers solve many of the problems for the modern enterprises and professional firms. Such numbers allow businesses and organizations to streamline and become more efficient in the use of resources devoted to communication with markets and partners, it can improve the external corporate image and provide a better service to customers and prospects. Originally, a call billed to the called party had to be placed through a telephone company operator as a collect call. The operator had to secure acceptance of the charges at the remote number before manually completing the call. 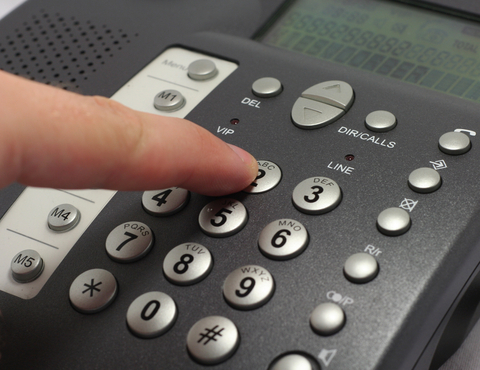 Use of a toll free number often allows to capture the telephone numbers of incoming calls. Toll free numbers usually capture the telephone number of the caller through automatic number identification, which is independent of caller ID data even if caller ID is blocked. Prior to the development of automated toll-free service many telephone companies provided a manual version of caller free service. An automated toll-free service was introduced by AT&T on May 2, 1967 as an alternative to operator-assisted collect calling and manual “Zenith” or “Enterprise” numbers. Modern toll-free service became possible when telephone companies replaced their electro-mechanical switching systems with computerized switching systems. This allowed toll-free calls to be routed based on instructions located in central databases. The prepaid 900 number is one in which the Company anticipates that activates the amount of consumption that will be done with the service, ie the company which acquires a first recharge made money and calls can be received into the number 900 to consume the amount charged. In prepaid Toll-free Telephone Number Service, the user has an account in which the “recharge” amount is credited through various means, usually by credit card or bank transfer, the credit is spent in function. With identical features with as a service contract, the Toll-free Telephone Number prepaid service has the advantage that it has no setup fees or monthly fees, you need to pay only for the calls received and there is no obligation to subsequently recharge. A toll-free vanity number or mnemonic is a telephone number that is easy to remember because it spells something and means something like 1-800-CUS-TOMIZE (example is a fake number to give example). In the simplest case, the toll free number is translated into a regular geographic number. This number is then routed by the telephone exchange in the normal way. The numbers and rules are variable depending on the Country. This Article Has Been Shared 6552 Times! Cite this article as: Abhishek Ghosh, "Toll-free Telephone Number," in The Customize Windows, November 17, 2013, April 26, 2019, https://thecustomizewindows.com/2013/11/toll-free-telephone-number/.